Happiness is a feeling of positive emotions, like joy, interest and pride and absence of negative emotions like sadness, anxiety and anger. Happiness is associated to life, satisfaction, appreciation and to those moments of positive in life. A happy person does not encounter negative emotions because they process feelings in quite a different way not like others do. This implies that they are not naturally happy or that they are more blessed with positive and good things, rather like all they also have matters in life that can stress them. Thus going by the above norms I was quite a happy go lucky girl, embracing the situations and learning in the path. However like any other girl I got married came in a very good family where I’m the princess. So far so good, all happy. Then came the transitional phase I got pregnant and the whole reason of being happy changed. 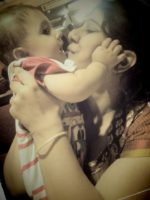 Motherhood was overwhelming, the hormones did their trick and I was happy in a moment and sad at the other. Gradually I became stable but from a rational mother I ceased to be an emotional nutshell. Now my happiness is just centered towards my child and thing that my child does makes me happy. Today my plate of happiness is trying a new, healthy recipe for my kiddo and seeing my kiddo enjoying each bite of the food. Waking up at 5 in the morning to prepare her tiffin and breakfast, and seeing her relishing the food gives me happiness and a beautiful glow on my face. Earlier if one would have asked me to get up at 5, I would have been sulking, but today motherhood has brought the change in me. Who does not love to shop for themselves, but again the mother in me is happy if she shops for her little diva. The moment I enter any shopping arcade all I buy is stuff for my little one, and this gives me immense happiness. To me my child is perfect and I am not in the mad race of excelling but whenever my child excels in any thing or child is appreciated, I just get immensely happy and an ear to ear smile can be seen on my face. However earlier I was the competitive soul and loved all the compliments and achievements that were showered on me. However now when my Sunshine beats me in any thing, be it a chess game or race or baking a cup cake, I am truly happy. Therefore I must say though my preference for being happy has changed but my plate of happiness is full and the glow of happiness is always there on my cheeks. 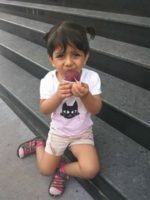 This post is in collaboration with “Happiness blog train” presented by Blogsikka, Momsmethods and sponsored by “Nayasa”. Nayasa has recently introduced a new range of bottles that are insulated and maintain the liquid’s temperature either hot /cold. These new designs are very practical, visually appealing and designed carefully to fit into the palms. The next station in this train is by Manisha . She touched topics on health, beauty, lifestyle, food and travels. . Recently She won BlogRock 2017 – Lifestyle Blog award. I AM EAGERLY WAITING TO KNOW WHAT HAPPINESS MEANS TO YOU.. GIVE YOUR ANSWER IN COMMENT SECTION..
Happiness Is What We Can See & Find In Kids, their Happiness, Innocent Looks & Cuteness Makes us more Happy. Oh, I too love to shop for my darling daughters. Can’t explain the it gives. Sometimes happiness is truly just in the smallest of things. Like making someone smile, helping out, listening, and generally being happy to be there. For all Mamma’s, their kids are their reason of happiness. Their lifeline. Your daughter is so cute. Loved this post. Aww, such a lovely post, your lil daughter looks so adorable. True this happines has no words and this relation has no limit. Oh how sweet.. all mothers are like this.. our children mean the world for us.. 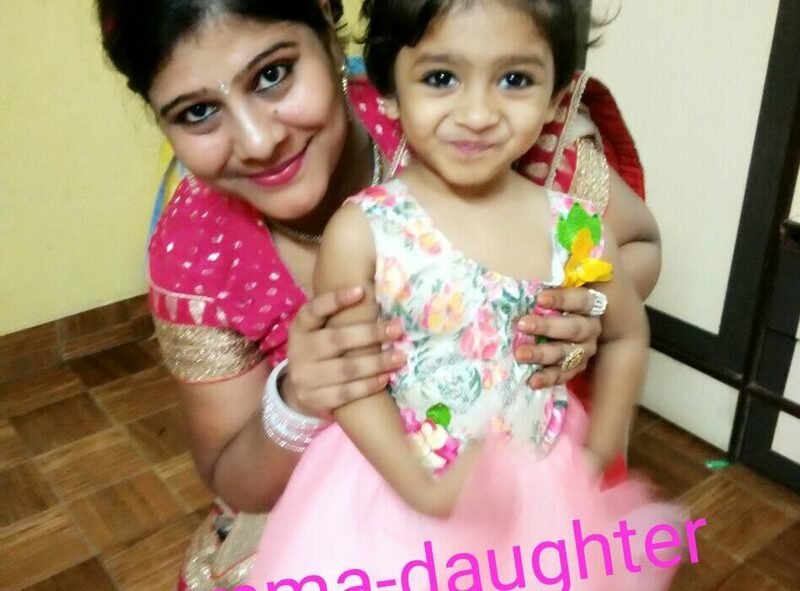 Your princess is so adorable, mom and daughter relationship is very unique and I can really feel this essence of love. Beautifully written. I can relate with this post, specially with that wake up in morning wala session. Those pics are really adorable! God Bless you both! Your plate of happiness is so delightful. Loved reading your post. Great job ? Loved reading this beautiful post on motherhood… It’s definitely a beautiful and overwhelming journey! A mother and child bond gives the most happiness such a sweet post. I am sure this happiness cant be always defined. For me, happiness is if I am able to help someone without being asked and defenitely help who ask for it. Reason being if someone is asking your support then he has some belief over you that you will be able to help him out. Every word is beautifully written…no doubt kids brings so much positivity in our life ..their innocent love, smile and laughter is just priceless.